Hot and humid summer has come. Many of you who are living in Japan (Hokkaido is said to be a roach-free-area for its cold winter) may have already had a terrifying experience with a cockroaches’ abrupt appearance in your house. What sort of roach control product do you have? If you use a spray it would be the biggest concern afterwards to pick up a tissue paper, touch the bug and throw it away. 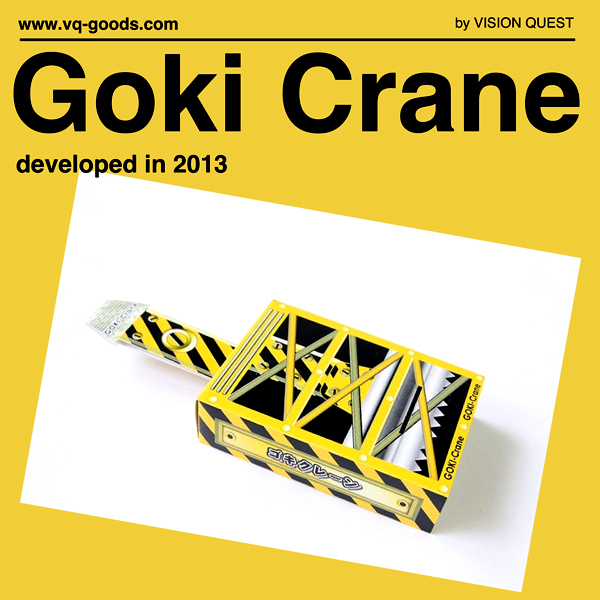 A new product, “Goki Crane” (Goki=Roach in Japanese), just came out on 2nd July for 189 yen (US$1.9) by Vision Quest in Osaka, seems a solution. This paper-made disposal tool was developed to meet people’s demands for cleaning of the dead bug without touching it. This innovative item has been well received as “properly sealed”, “handy”, and “economic”. You may well like to keep one in your cupboard just in case?! The usage is pretty simple. Check out the demo below.